Caravan Pictures was a film production company of Walt Disney Studios, formed by Roger Birnbaum and Joe Roth. 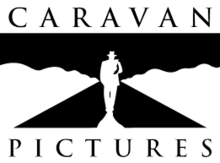 Caravan Pictures was founded by Roger Birnbaum and Joe Roth as a production company at Disney in 1992 to fill the Disney Studios' then yearly 50 to 60 production and distribution slots. Caravan was given a five-year 25 picture agreement with green light authority up to $30 million and an overhead budget of $3 million. After just releasing its first picture, The Three Musketeers, at Christmas 1993, Caravan expected to be releasing 10 films in 1994. Roth moved on to be Disney studio chief on August 24, 1994 leaving Birnbaum in charge. In August 1998, Roger Birnbaum, Caravan's co-founder, left to co-found Spyglass Entertainment at Roth's prompting in which Disney took an equity stake and a five-year distribution agreement. With Disney cutting its yearly production output, Roth recommended forming a self-financing production firm such as New Regency Productions. After the remaining three films were released, the company went inactive. Caravan's slate of movie projects and an initial financial advance of $10 million to $20 million against future overages was also contributed by Disney. 1 2 3 Frook, John Evan (January 30, 1994). "Roth, Birnbaum flex muscles at Caravan". Variety. Retrieved March 19, 2015. 1 2 "Seasoned Performer Takes Lead Studio Role". Orlando Sentinel. Los Angeles Times. August 28, 1994. Retrieved 19 February 2013. ↑ Eller, Clauida (August 21, 1998). Spyglass Offers Disney Lower-Risk Deals. Los Angeles Times. Accessed on March 18, 2015.